Panaya Success Center How to troubleshoot Tosca Automation configuration? 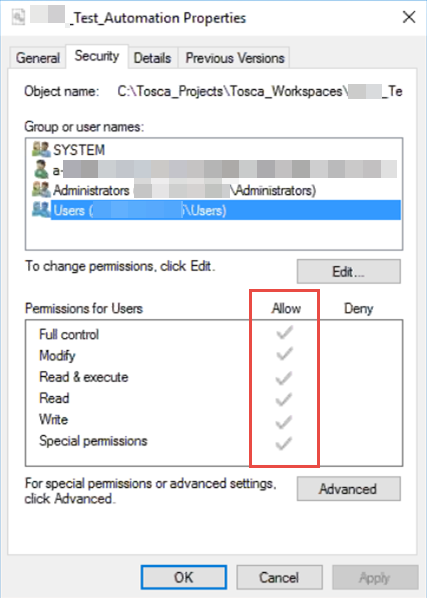 From within Tosca - verify that the same workspace path appears both in Tosca and in Panaya Test Center. In Panaya Test Center, the Workspace path appears for each Test under the General tab - scroll down to the Tricentis Tosca Automation Details section. It is highly recommended to navigate to this path location and execute one of the test cases. When executing automation playlist from Panaya Test Center, the Tosca commander must be closed on the target machine.